Utilizing the available space more efficiently can be done with the help of room dividers. Aside from being so functional, they can also contribute to the design of the room by adding a more personal touch. 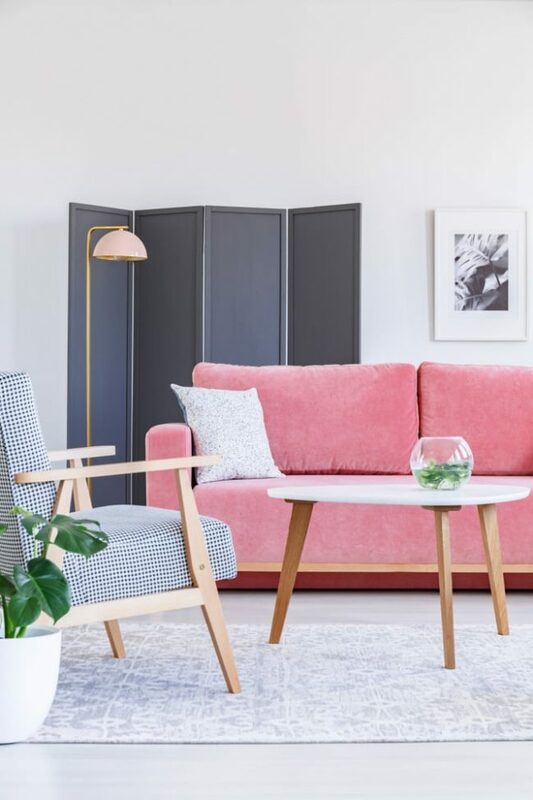 If you wish to take advantage of the power of room dividers, check out these DIY projects that enable you to delineate space in a stylish way. 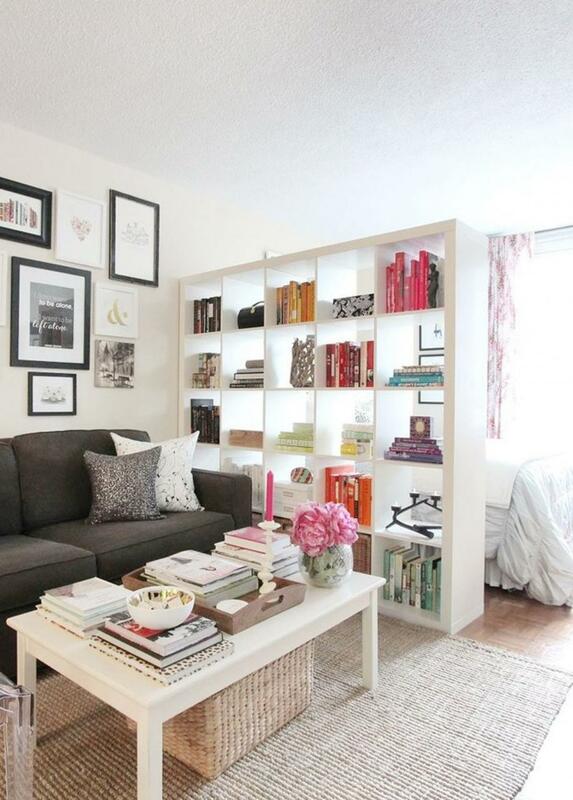 The frosted glass divider is a great solution for apartment dwellers that wish to organize their space more effectively. 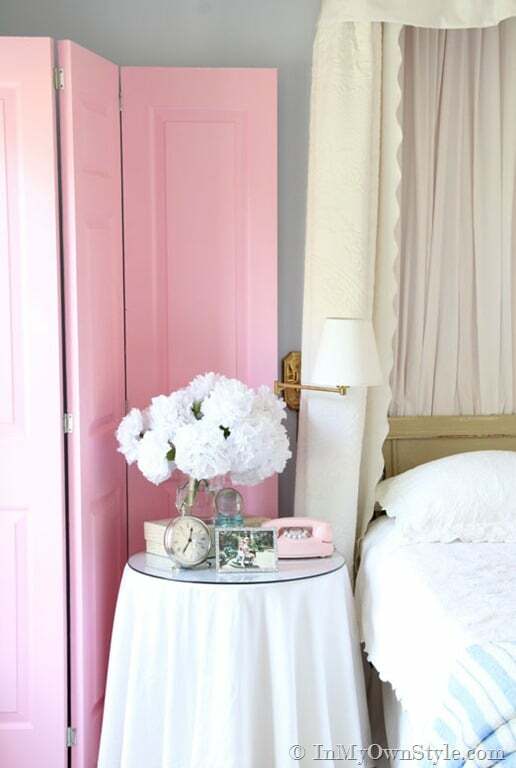 There’s no need to worry if you can’t afford something larger than a studio as this DIY project is ideal for transforming a part of the room in a bedroom. With the help of some large sliding doors and a bit of effort, you can enjoy a stylish frosted glass divider. Cheap and DIY-friendly, the fabric-covered room divider makes use of a few tools and manages to check all the boxes for a stylish space separation solution. The main reason why this custom room divider is DIY friendly is that even novices can put it together in no time. Two panels can be assembled easily and without breaking the bank. The design of this room divider is very flexible allowing you to adjust it vertically thanks to the installation of powerful connectors. Another reason why this is a quick project to make is that you can use pre-built artist canvases with various fabric designs you like. For a more innovative solution, check out this vinyl record room divider that could be the perfect addition for any fan of retro design. All it takes is some inexpensive vinyl records and a bit of work to join them using a fishing line. 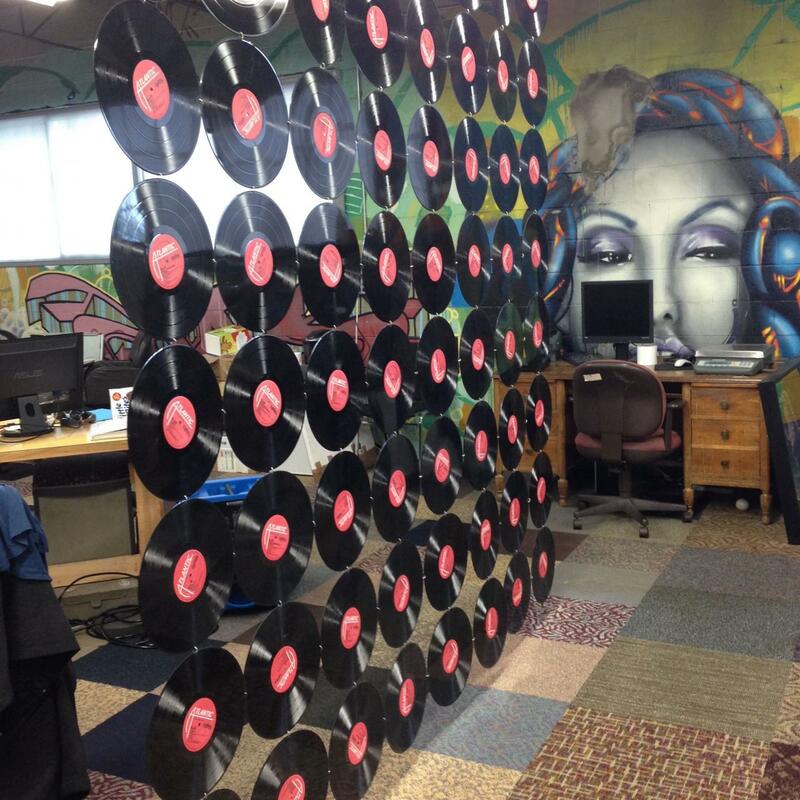 If you’re using old vinyl records found at a thrift store, it means you also create an environmentally-friendly room divider. Those who prefer a more natural approach will be pleased by the jute rope room divider. This DIY project involves using a jute rope that can be purchased at various hardware stores. If you’re on a budget you can choose a thin rope, though it’s recommended to try to get a thicker one. Where traditional dividers can’t really work, the jute rope divider represents a reliable alternative. 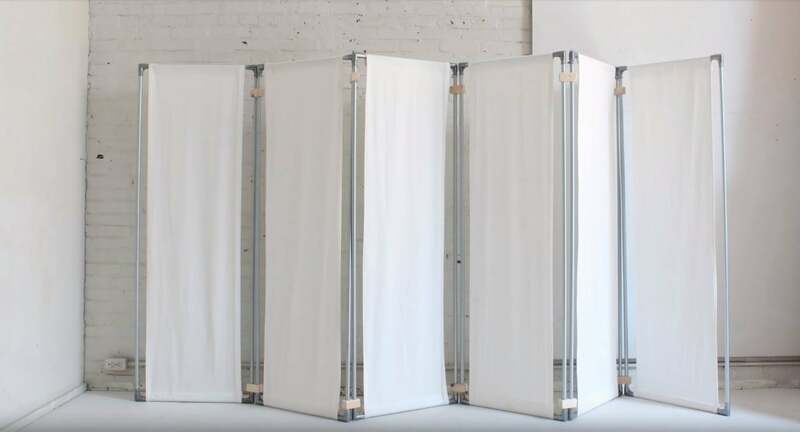 Open warehouse space styles, in particular, can take advantage of this DIY room divider which is capable to split the space into clearly delineated zones. The cost is also minimal compared to standard room dividers. Similar to the jute rope idea, using chain mail as a room divider has some benefits considering how you can separate rooms in a subtler manner. Although at first glance it looks like fabric, the coiled metal wire mesh used can offer an innovative sense of style if you’re into DIY room divider projects. 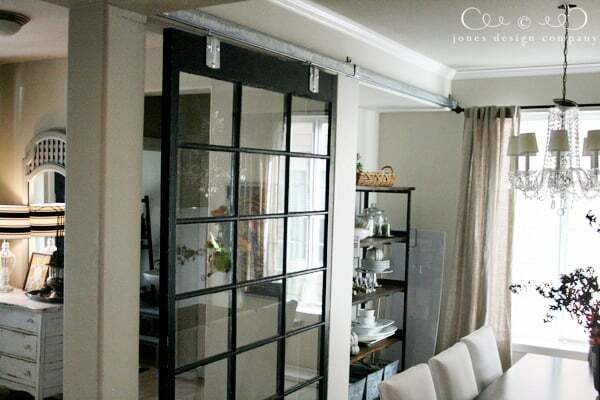 If you have a barn door track, you can use it to craft this wonderful DIY room divider which involves the installation of an antique window sash. It’s a fairly inexpensive project that accomplishes two purposes. The living space is nicely separated while there’s still plenty of light shining through to maintain a sense of openness. This can easily become an interesting point of attraction in any home. 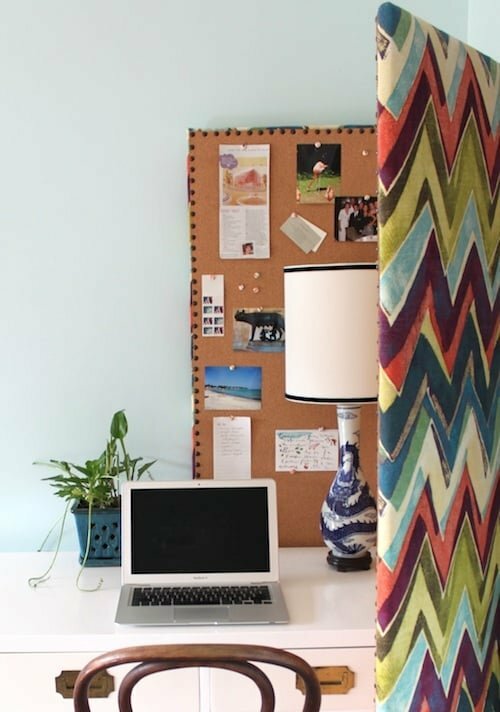 DIY enthusiasts are sure to love this bulletin board room divider that can help you maintain a more private space in a room. This project is designed for those who wish to create a cozy nook that’s separate from other areas. It can bring a splash of color to a home office while at the same time it can contribute to enhancing your productivity. As its name suggests, the room divider can be used as a bulletin board where all kinds of items can be pinned. Whether you like having notes and reminders close or you simply wish to display some photos, this is a cool and fun project to try. 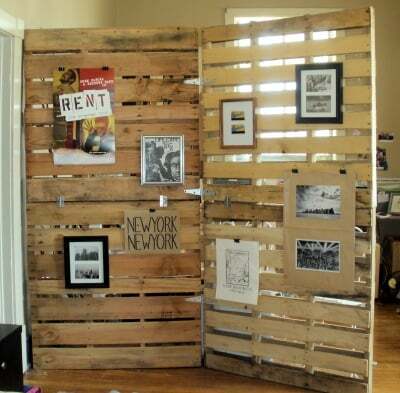 Fans of a more rustic look should take into account this pallet room divider. With a bit of patience and minimal investment, you can craft a stylish room divider made of wood pallets. They are quite versatile as they enable you to hang various items such as photos and artworks. 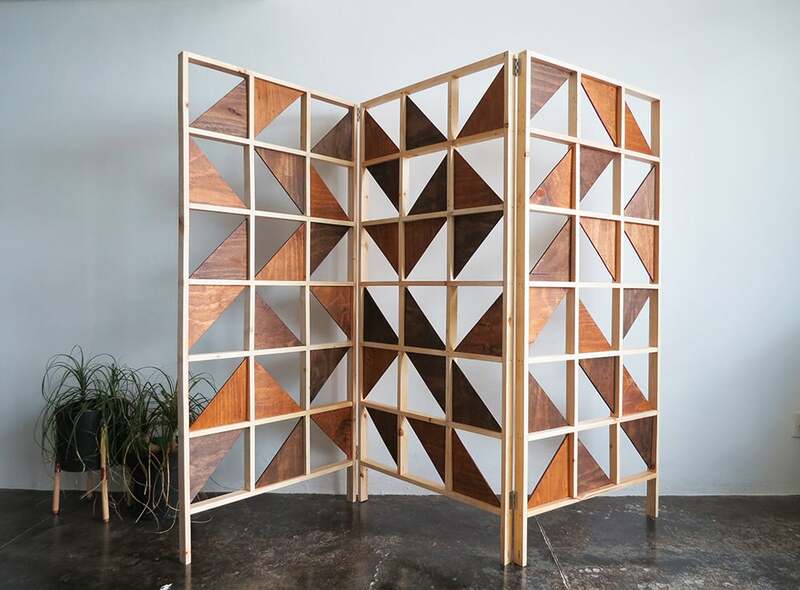 This is more than a room divider because it can double as a display board. Decorative pieces can be easily changed if you want to refresh the look. Sometimes it would be ideal to have a moveable room divider that you can rely upon only as needed. 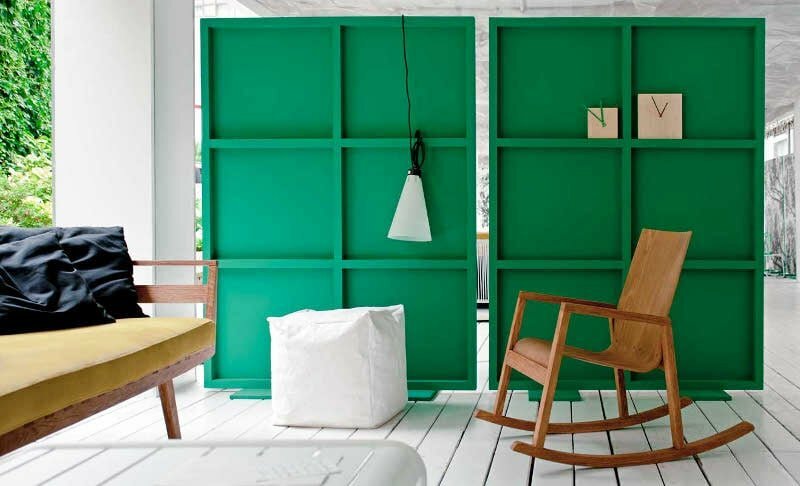 Check out this stylish green room divider that’s built from a thin plywood panel. The structure allows you to display decorative items and the vibrant green color is sure to impress any guests. Having a moveable room divider represents a true blessing if you have multiple large rooms. Room dividers can be built to suit a wide range of interior design styles. Those who enjoy the bohemian look will be pleased with this beautiful Macrame room divider. It’s solidly built to act as a reliable room divider while simultaneously allowing for sunlight to shine through. If you love decorating with plants, this is one of the best solutions to separate a room. The divider comes with a surface that can be easily used to support some greenery. 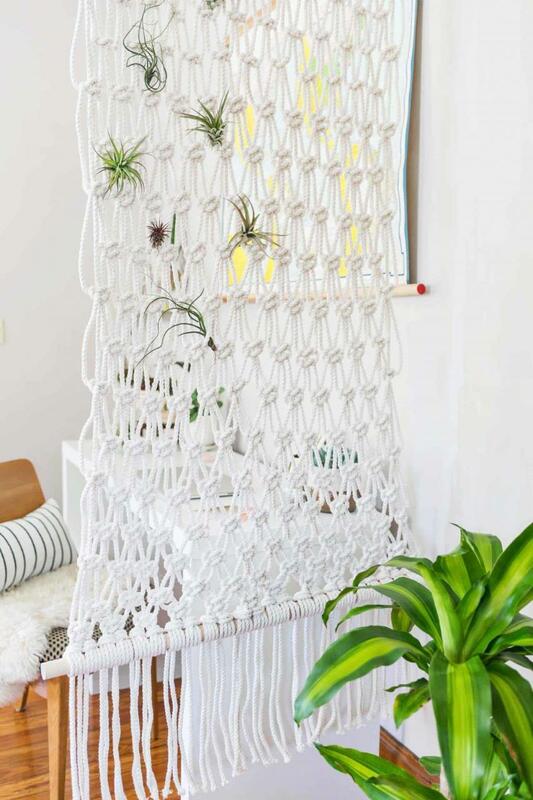 Whether it’s a shared office space or a small apartment, the Macrame room divider is recommended if you have a bit of patience to get the supplies and prepare the rope. Room dividers should maintain a good balance between decent privacy and a feeling of openness. One divider that seems to match that description very well is this model which makes use of a combination of fabric and electrical conduit. It’s fairly simple to put together and you can add some embellishments or leave it as it is for a more minimalist look. 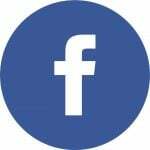 Height and width can be adjusted according to space requirements. 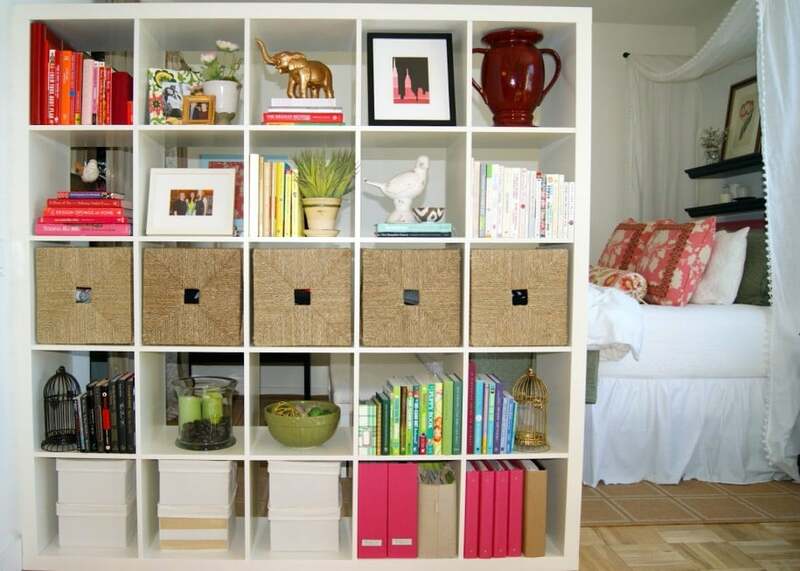 Adding some privacy without completely closing off an area can be done quite easily if you choose a shelving unit. Bookworms, in particular, will probably appreciate this solution to store some more books close at hand. The only problem with this DIY room divider is to make sure it stays firmly in place. You will most likely need some strong restraints to ensure maximum stability and avoid tipping. 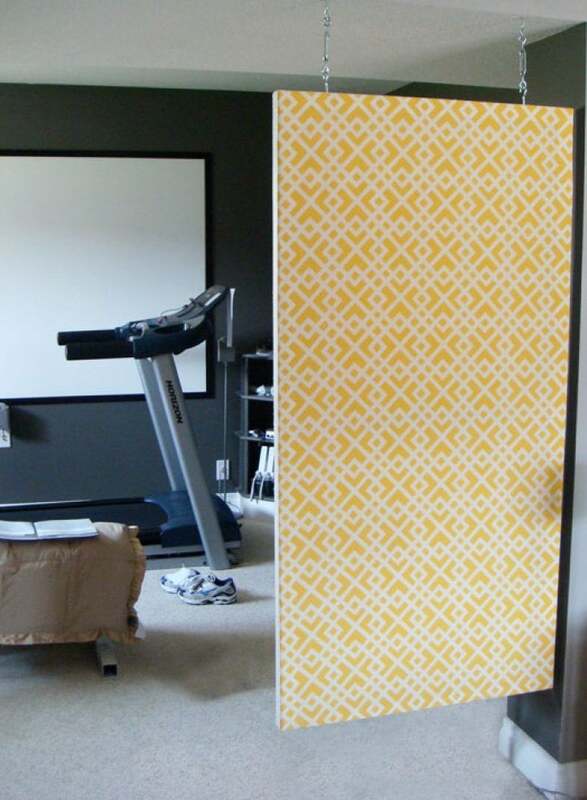 In case you happen to have an old room divider and want to give it a complete makeover, you could try this DIY idea. It involves removing the pressboard inserts without damaging the wood frame. 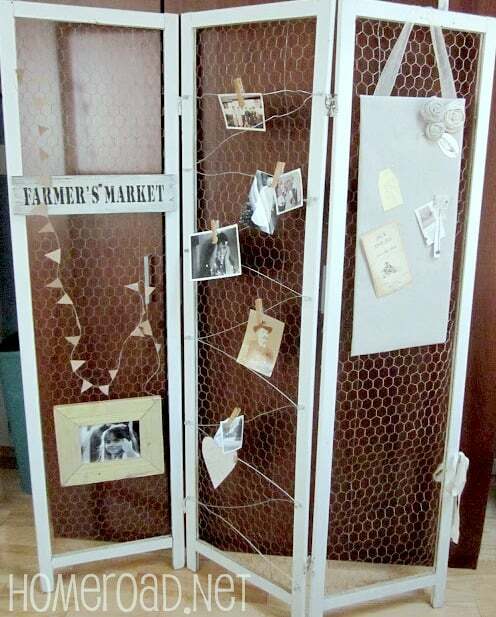 Then you need to purchase some chicken wire and add it to the panels to transform an old room divider into a custom one where you can add various decorations such as photos and notes. 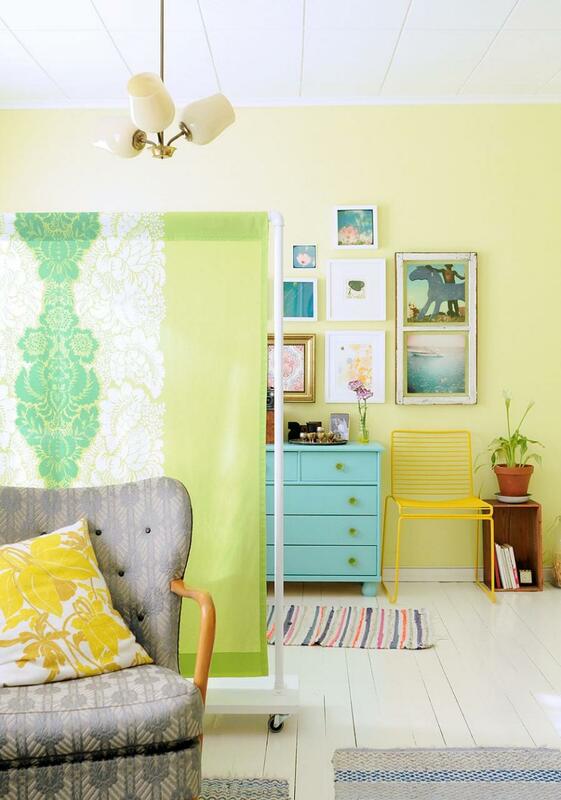 Here’s another green idea to try if you’re looking to go the DIY route for a room divider. This project requires some leftover wood floor pieces which can be repurposed as a stylish structure to separate a room into different areas. 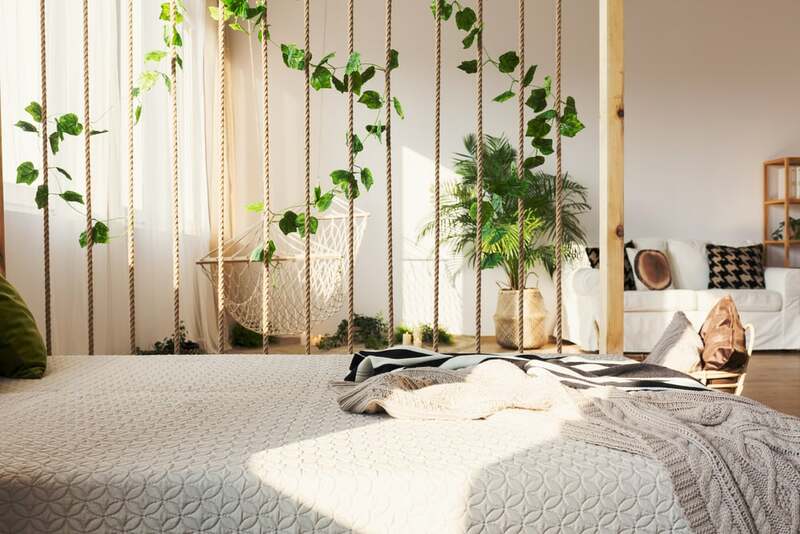 We like this idea because using recycled wood planks isn’t just eco-friendlier, it’s also a gorgeous addition for any studio where adding a little privacy would be incredibly useful. Having a fabric screen as a room divider represents a great idea for those who enjoy personalizing their home. With the right fabric style, you can complement the design of the rooms while accomplishing the functional purpose of separating it into different zones. It’s recommended to go for a sheer fabric if you want to retain a sense of openness in the room. An extra advantage of this DIY project is that it makes use of a clothing rack which can be used to store your dresses if it’s no longer required to have a room divider. 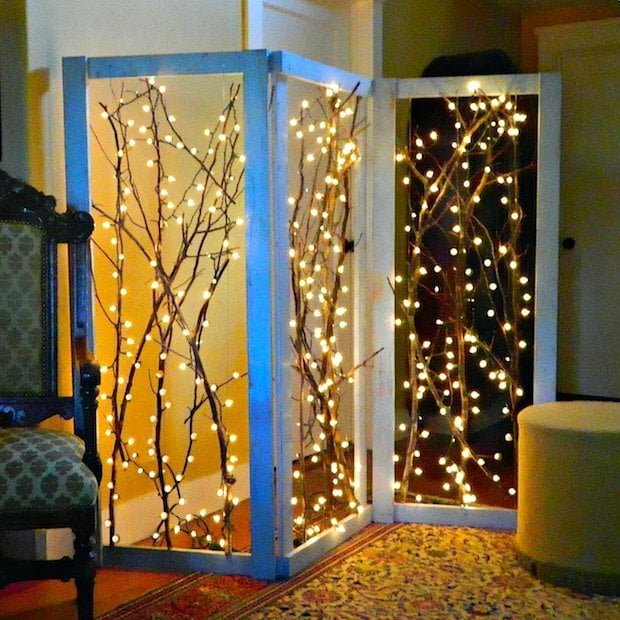 During the holiday season, you can bring some festive magic indoors with this fun DIY room divider. It has panels decorated with twinkle lights to create a cozy atmosphere. This may not offer great privacy, but big rooms can certainly take advantage of the separating potential of this divider. Personal space is an essential commodity. If you’re sharing a large room with other people, there are lots of DIY projects that can help you get some privacy. A gorgeous one is this woven room divider which is amazingly easy to customize. This is one of its main strengths as you can incorporate some colorful combinations to create a livelier atmosphere. 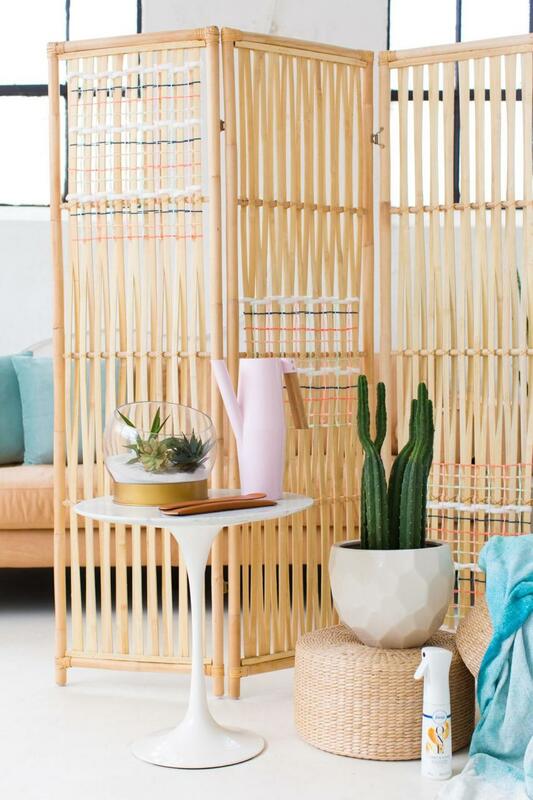 Thanks to the use of woven yarn on this rattan divider you can use your creativity to fit any living space. It’s always handy to have the ability to divide the space in the room, but few ideas will also come with additional benefits. If you’re in the mood for a simple DIY room divider that provides storage, check out this project that makes use of cubby shelves. Helpful to distinguish areas and offering plenty of space to fill it with some home office essentials, this room divider is both practical and stylish. 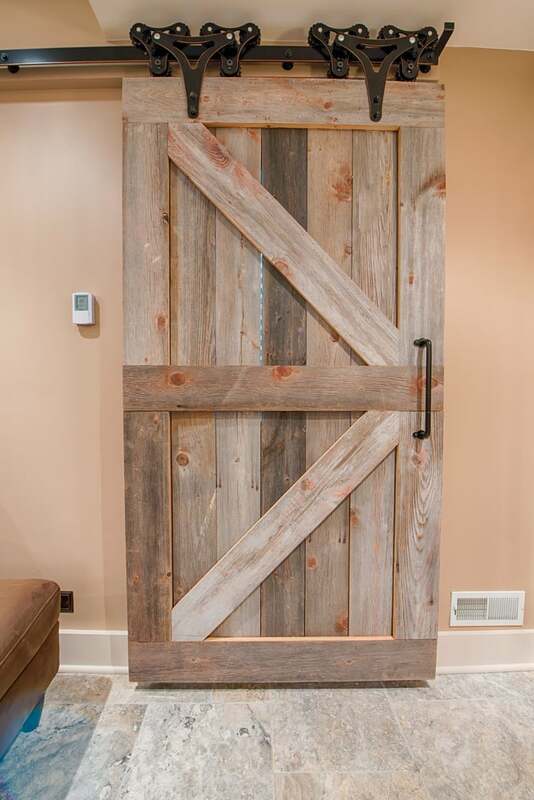 Another project that offers a more rustic flavor is this barn door room divider. This is an effective way to separate rooms and it only requires you to purchase some materials and to learn how to install the barn door track correctly. It may seem daunting at first, but integrating a barn door as a DIY room divider is actually pretty easy if you follow the instructions carefully. 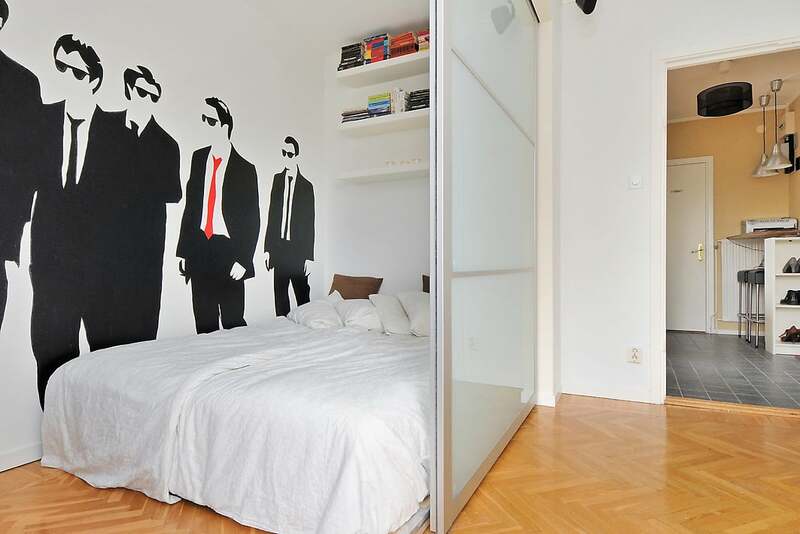 The world of DIY projects is full of interesting ideas for room dividers. One stylish unit that gives off a modern appeal is this geometric divider. It looks like it’s difficult to build, but the panels are surprisingly easy to put together, even for novices. This is a stylish room divider that can be successfully used for transforming a large room in separate areas. 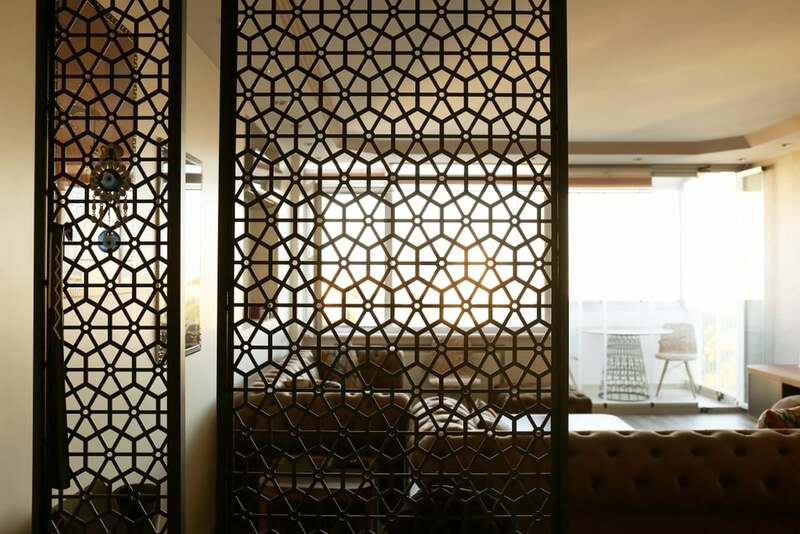 Aside from its great functionality to offer a private nook, this patterned room divider can also be used as a graphic décor piece. 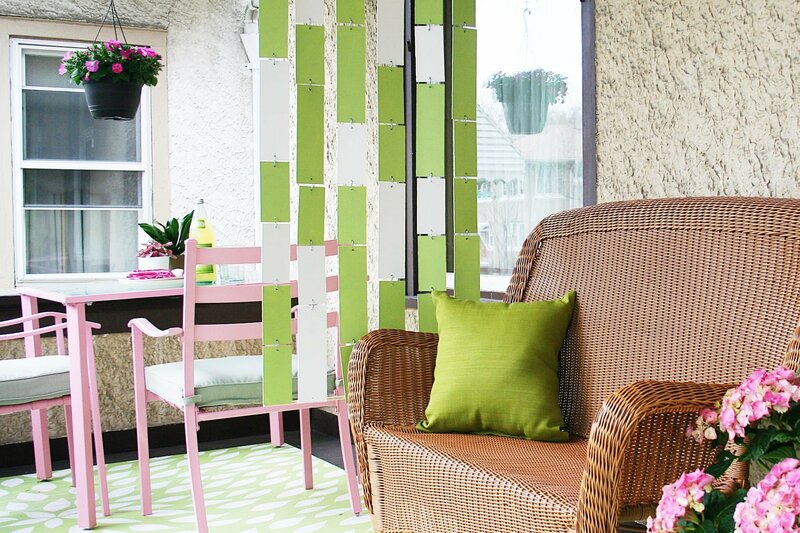 The hanging room divider is a DIY project suitable for those who like an outdoorsy vibe. The pattern has the potential to refresh the look of your porch and the divider can be effectively used for multiple room-separating applications. As with other DIY projects, there’s a lot of room for customization so you can switch up the colors or plan for a different pattern if you prefer. If you want to get more creative, you can even incorporate some different materials. DIY room dividers offer the perfect opportunity to show off your decorative skills. 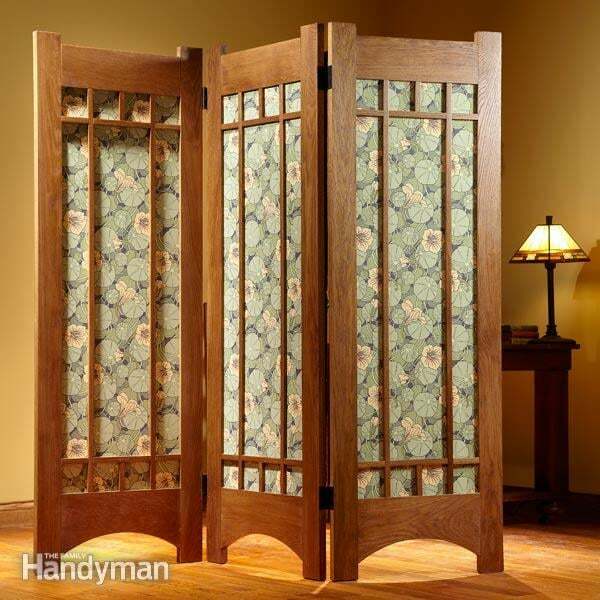 Instead of using a regular room divider found on the market, you can create a beautiful folding screen that enriches your interior décor with a personalized twist. This stylish screen can change the look of the room while doubling as a room divider to provide some privacy. It’s not only easy to craft by yourself, but it’s highly versatile allowing you to move it from room to room with ease. If you’re not satisfied with the usual basic folding screens and want a more solid room divider, perhaps this furniture-quality model would be a better choice. It’s a bit more difficult to build compared to other projects, but the final result can also be much more rewarding. The hinged room divider is the kind of DIY project that withstands the test of time and can fit in a more elegant home. Old shutters can be upcycled without too many hassles and transformed in stylish panels that can separate any room. For a very small cost, you can get your hands on a reliable room divider that only requires a bit of effort as you need to add hinges and fresh paint. This is a recommended solution for those who prefer reusing items and live a greener life.